Getting a great deal on a new car lease is very important. 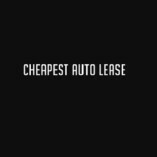 Here at Cheapest Auto Lease, we do everything possible to get our clients the car lease specials, at the cheapest prices in New York or New Jersey. Equally important, however, is providing you with the best level of customer service you could experience.